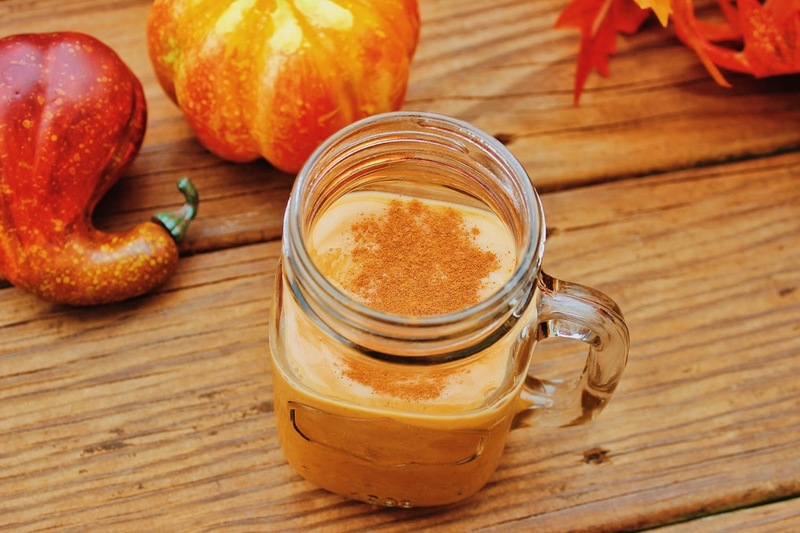 how about a pumpkin pie smoothie? If it's pumpkin flavored, I NEED IT. (and a little less healthy). 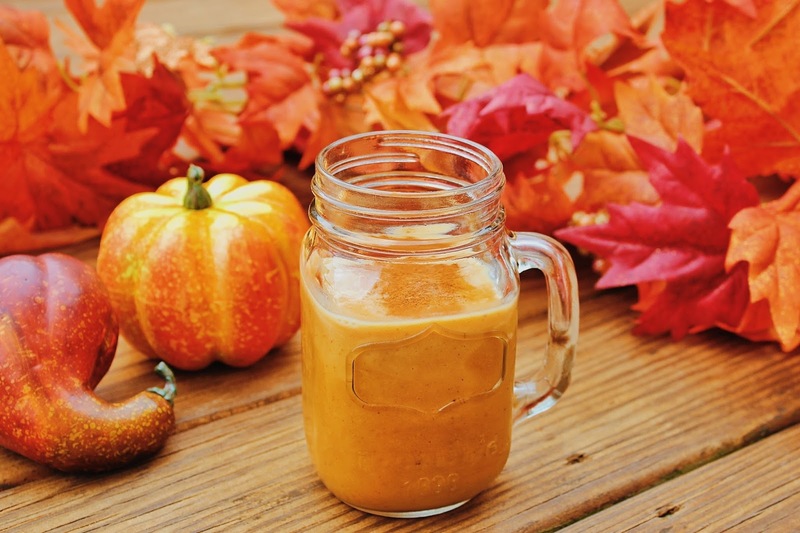 This particular smoothie happens to be delicious, and happens to be vegan. Throw it all in a blender, throw on a flannel and call it a day.